How can businesses encourage their leaders and employees to adopt video in the workplace? How to boost contribution and viewer engagement and expand the number of ways enterprise video is used across an organisation. 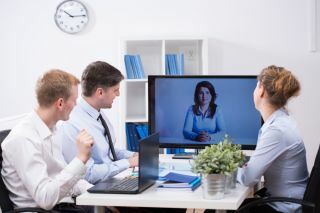 Introducing the widespread use of video to an organisation causes a paradigm shift that can be daunting for both employees and executive leadership to accept. But the good news is, hundreds of companies have successfully travelled this path by following some key rules. It is esssential that, prior to launching any sort of widespread enterprise video initiative within an organisation, all possible barriers to adoption must be identified. For example, one of the most common barriers when it comes to the adoption of enterprise video is the mindset that video is both expensive and time consuming. Obviously with the proliferation of personal apps like SnapChat, Skype and Facetime, these misconceptions were overcome outside of the office long ago. But inside many organisations these beliefs still exist—and meeting them head-on is the only way to achieve success. High contribution engagement – increasing both the number of authors and the quantity of content generated within the organisation. High viewer engagement – growing the number of likes, percentage of viewing, comments and subscriptions of internal videos. Broad use case diversity – expanding the number of ways video is used within the organisation. Here are a few tips on how the above can be achieved. “I love working at [Company name] because…” – This contest also provides some great footage for employee recruiting and onboarding. “Our mission statement means X to me” – Employees who share how their job impacts the company will have a greater self-worth, feel more like a valuable asset and be a stronger contributor in organisation success. “Where in the world am I” – Whether travelling for business or pleasure, it is always interesting – and fun - to see where employees spend their time. “Working hard, playing hard” – Encourage employees to share what they do outside the office. Sharing hobbies and passions naturally brings people together, consequently building a stronger, more connected team. “Getting to know you” – Employee introduction videos help add faces to names in an increasingly global work environment, making the process more personable and less daunting. When it comes to increasing viewer engagement, many companies award prizes to the contributors of videos that are the most viewed, most liked, or have the highest number of comments. The most effective way to execute this is to task the core team with keeping the contest top-of-mind and looking for opportunities to promote wider participation—essentially creating a marketing strategy to highlight the actual contest itself, as well as any videos that have been submitted. The core team can also foster viewer engagement by watching each submission and commenting or liking the video and using internally-provided social business platforms to promote progress of the contest: for instance, how many submissions, which video is in the lead, what are the best comments and so on. Another way to amplify viewer engagement is to add a featured video section to the employee portal or company newsletter. Multiple videos can be featured in this way, based on criteria such as new contributions, most viewed videos or based on pure entertainment value. Company shout outs – These are videos used to promote fellow employees who are making a difference for the company. Recommendation for MVP awards – Instead of a written recommendation, encourage a video recommendation for employee awards. You can then play the video at the award announcement to explain the reasons why a certain individual is being recognised. Making a difference – Align a contest with corporate goals such as community volunteering for example. This may also be a team challenge. What did you learn? – Video is a great way to share knowledge both internally and externally, from events, conferences and trade shows with peers and team members. Once your audience starts incorporating video into their daily routine they will look for opportunities to expand the use of this powerful and effective tool. As mentioned above, a core group of early adopters can make significant strides in breaking down barriers, supporting those who are new to video and leading by example. In addition, setting attainable goals using one or more of the quantifiable approaches listed in this article can drive contribution, viewership and the expansion of use cases—resulting in massive increases in both the adoption and engagement of enterprise video. This will in turn result in greater employee engagement and collaboration.